Kombucha was invented around 200 years ago in an area formerly known as Manchuria and now eastern Russia. It is created through a tea fermentation process and is characterized by a carbonated, fruity, vinegar taste. If you go into your local supermarket you can find all different companies and flavors to choose from. Some particularly tasty ones are Strawberry Lemonade, Turmeric, and Hibiscus. The fermentation process itself produces a ton of probiotics which are like the bacteria found within the stomach. Many people eat yogurt or take probiotic pills, but it is so much easier to get them from a healthy drink. The probiotics found in kombucha are thought to improve gut health and aid in digestion. There have also been a number of studies done on cancer and kombucha consumption. These studies have shown that kombucha both prevents cancerous cells from growing and possibly lowers the survival margin of these cells. It is early days yet, but further studies should have some promising results. Kombucha also has anti-inflammatory properties. When drank in recommended quantities, it can help to calm inflammation in the body. It also contains large quantities of antioxidants, this means that the anti-inflammatory properties and the intake of antioxidants, when absorbed by the liver, can actually increase liver function and aid in regeneration potentially. These are just some of the potential benefits of kombucha, but until you try drinking some regularly you will not know for sure. So, head out to your local store and grab a bottle of it. 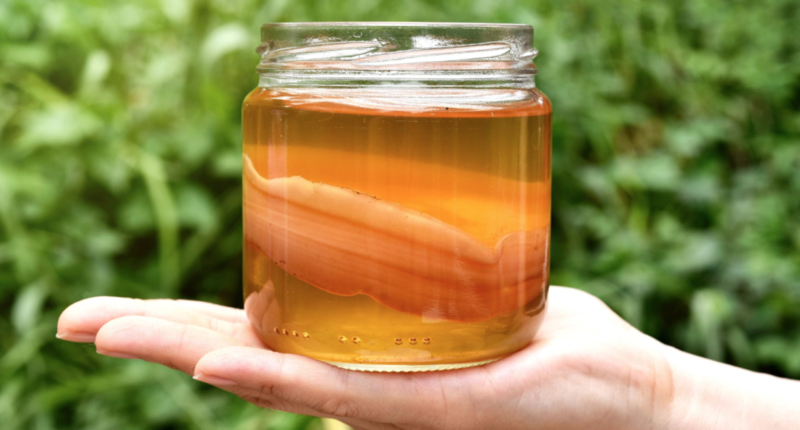 Or if you are feeling truly adventurous grab a SCOBY and start making your own. But, you should really find what flavors you like the best before you do this. It may take some getting used to the taste, but once you do you will see all sorts of health-related benefits from better digestion to a healthier liver.